Prabhas's next with Sujeeth will feature an action sequence which will be made on a whopping amount of Rs 35 crore, say reports. Having spent four years on Baahubali, Prabhas will be next seen in a yet-untitled Telugu film, which will be directed by Sujeeth Reddy of Run Raja Run fame. Recently, the film was launched officially with a formal pooja. As per latest developments, the makers are spending a whopping amount of Rs 35 crore just for an action sequence, which is touted to be a breathtaking car chase between the protagonist and antagonist. Reports also suggest that the teaser of the film is expected to attached with Baahubali 2. The project is solid in terms of the technical crew. It has National Award-winning production designer Sabu Cyril, while Madhie will crank the camera. To be produced by UV Creations, it is said that the film will be made on a lavish budget of Rs 150 crore. Shankar-Ehsaan-Loy will compose the music for the film, which is expected to release in the second half of this year. Meanwhile, Prabhas awaits the release of Baahubali: The Conclusion. 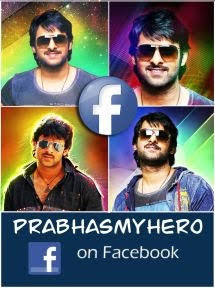 The first look poster, which was released on Prabhas's birthday last year created quite a buzz among fans. Also starring Rana Daggubati, Tamannaah, Anushka Shetty and Satyaraj, Baahubali 2 is slated to release on April 28.